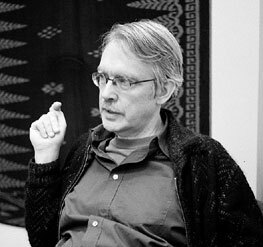 John Harbison Interview with Bruce Duffie . . . . . .
Usually it's baseball. For some reason, many of the composers with whom I have done interviews seem to enjoy baseball. Of those, most follow one team or another, and a few are very much into the history and lore of the game itself. But the "National Pastime" has been the general choice, though as we move ahead in time, it will probably become a wider variety of games that hold the interest of creative-types. 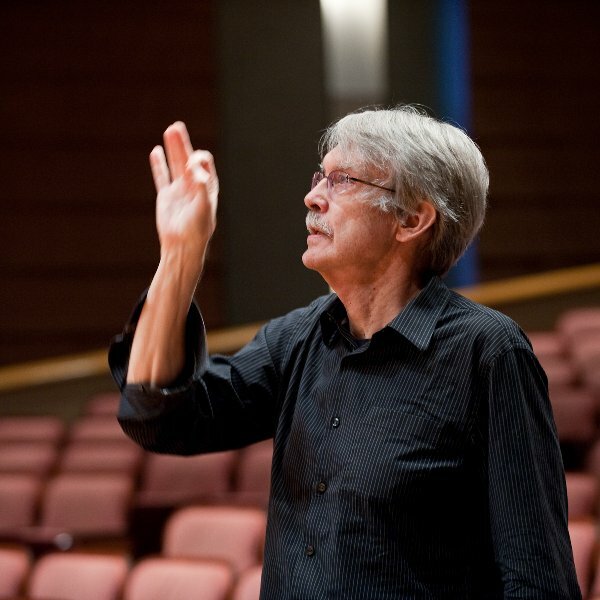 As you are about to see, composer John Harbison is into various sports, especially soccer. So why would all this come up when the guest is a noted composer of Concert music? The reason was the circumstance surrounding the interview itself! We met in 1991 at Harbison's hotel in downtown Chicago, after my regular 6 PM to 12 Midnight shift at WNIB. At 12:30 AM, as June 12 had just become June 13, our conversation began with the Chicago Bulls, who had just won their first NBA Championship . . . . . .
Bruce Duffie: Do major sports events interfere with your composing? 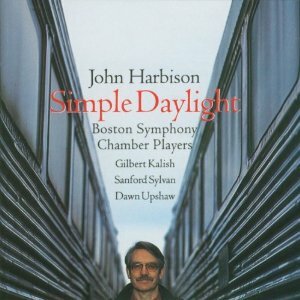 John Harbison: Sometimes, yeah. I'm big sports fan. I try to work out my copying for periods of major sports events, particularly sports that rely on the replay. BD: So you can hear that something happened and then look up! BD: [Chuckles] Should there be a musical replay for something interesting that is happening? JH: [Slightly amused with the idea] There probably should be... I find the one sport that I like most is European football — soccer — which I actually played in high school and college. That's the one you cannot do that way because there are no time outs and there's no replays. It's a completely continuous game. The clock runs straight out, essentially without exception. So there's no pauses, and there's no way to catch a moment that you miss. I've found that I was unable to work that way. I either had to watch the game flat out, or copy the music. BD: It requires your full concentration. JH: Yeah! It really does! It's an absolute continuous-flow game. And the other thing that's nice about it, actually, is that you can predict how long a game will take. A game starts at a given time. If it's in Italy, it won't start when it's supposed to, but then it does run a very finite length, which is actually very nice. BD: ...whereas in music, everything is pre-planned and pre-structured. JH: Yeah, but writing the piece isn't. BD: You're looking at it from the blank page, whereas we, the audience, think about it as the page already being filled. JH: Yeah, but I'm thinking now about soccer. It's a very unschematic game. Actually, I went to some games in Italy, though it was dangerous because the fans there are very wrought-up; they get fired up. BD: Oh, sure, they get very passionate. JH: Passionate, and actually, sometimes, it is literally dangerous. I was trying to get my wife to go with me to a Genoa game while we were living there, and I pointed out to her that the Genovese team had just been given an award for having the best behaved fans in the league. But she said the very fact that there was such an award was reason not to go to the game as far as she was concerned. BD: Is there any way that you could envision that music fans could become as passionate about music as soccer fans are about their sport? JH: Concert music probably once did have that kind of public. I don't think it has now, certainly not since the turn of the century. BD: Why did we lose it? JH: When we began to compete with a lot of other things. Sports is now organized on a huge global scale, which really didn't exist before. Also lots of other means for projecting popular culture became so much more powerful. Verdi probably had that kind of backing. We have accounts where it sounds like sports fans hanging or hovering outside his hotel to cheer him after his opera had a premiere. We have nothing resembling that in music now. BD: Would you like to get back to that? JH: It would be very unrealistic. It had its good and bad sides. A lot of composers had to become entrepreneurs; a lot of their energies at that time were used to get out there and compete. Wagner really changed music a lot by becoming a heavy businessman, and I think a lot of what he represented was not great for the future of concert music. It put things a little bit behind the eight-ball. BD: Are we still behind the eight-ball? JH: I think so. I think we inherited from those times this image of a kind of mythic, grandiose presence which really has not done concert music any good. It eventually began to create a kind of division between audiences and composers around the beginning of the century. This also led to a sense of suspicion. BD: What should be the balance between audiences and performers and composers of concert music? JH: I think that we need to get to a point where we measure the response not in terms of numbers or decibels, but in terms of intensity and sustained interest. That we can aspire to because we certainly still have the kind of public available to us that, say, Beethoven had for his quartets; that is a smaller, interested, reasonably educated public. But we don't have that sort of frenzied operatic 19th century thing. The opera was, along with the novel, the great popular form of the time; narrative was really a tremendous urge for the whole society, and nothing in concert music is quite in that situation today. We've given over that centrality to film. Film is the narrative art that in our time draws in the greatest number of interested and educated audiences. BD: Has music willingly given this to film, or has music kind of fumbled it away? JH: Different arts come in at different points to central roles. It has to do with both their own development and energies, but also the way people live. Our age is much more visual- than ear-oriented, and has been for quite awhile. That's not entirely bad, but it's something that we, as concert musicians, run into all the time. Particularly the generations that have grown up since the Second World War do experience things with sight. They even elect presidents based on that. They do almost anything based on sight first off. The students that I've taught come back from concerts saying that they've "seen" a concert. That's an absolutely literal report of what they did; they saw it before they heard it. BD: Could we do a better job of training the ears of students and then adults? JH: I think we have to deal with what we've got, which is that if people start by seeing in some reasonably elegant and unexaggerated way, we have to find ways that the seeing can lead them into the music. I've begun to think that the choreography of performance, which in many cases has been adjusted in concert music to correspond to that of rock, is a disastrous mistake. The choreography of performance can help people to hear. The way players communicate with each other — the interest that they show that communicates into a physical movement — is a very important part of what we do. It ought to be considered more carefully as we teach players. BD: That they should do more of this? JH: No, that they should get just an accurate correspondence between the gestures that they play and the way they address them. This goes for conductors and players, both. In most cases, that means really looking at what goes on at a performance, and trying to get it balletically much more accurate. We have a disastrous hyperbole going on now, which gives no real indication of what we're doing. BD: You're not suggesting that every orchestra hire a choreographer to work with the conductor? JH: No, but I'm saying that teachers need to teach people how to communicate with each other in small ensembles. That involves a certain amount of leading and following of a very intricate kind. Too little musical training goes into what I call the socialization of musical skills, and too much goes into sitting in the practice room learning to play hard concertos that they'll never play. The social interaction of music, which has to do with how people communicate physically, is very critical. I had a conducting teacher, Dean Dixon, who said a great thing — you start conducting an orchestra the minute you start walking onstage. BD: Just your deportment and demeanor? JH: Yeah, your concentration, your sense of occasion, your sense of communicating. All that communicates physically, and you can lose an orchestra before you get up in front of them. Young performers need to consider those things because it has to do with your focus and your concentration, and your intensity of interest. This is what we don't get from 85% of the performances we go to hear. BD: So you want more than just the sounds of the music? JH: Composers, too, but certainly performers have to involve themselves in everything that makes the music come out. That's why we learn technique on an instrument. It's not that one way or another really won't get the notes, but there are ways that get them in a much more fluent and communicative mode. To learn to really perform music, you have to be able to get something that is not just efficient, but actually brooks a certain amount of risks. That's where our training is mostly stopping — before we get to that point, to insulate people or to give them something that's really hearty that will enable the taking of a chance. BD: When you're writing a score, do you have in mind the performers or the conductor or the audience? BD: Rather than just "Joe Violinist"? JH: Right! And sometimes Joe Violinist in the abstract is discouraging, where a specific violinist is very encouraging. BD: You will get inspired by their technique and their abilities? JH: Yeah. And even some sense that you know enough about them to know not only what they like to do, but what you would like them to try to do. So that's very helpful. It's only been fairly recently, actually, that composers have been not writing for themselves as performers. That's another way of focusing. The great protagonist-composers had that very specific frame through which they were projecting themselves as performers, and that's also something that's very useful. We've seen how often that pays off for composers in the past. It's tended to be a little less the norm now than it once was. BD: Have you basically, though, been pleased, over the years, with the performances you've heard of your music? JH: The basic level seems to get better, though I still am sometimes shocked by performances which have no aspiration at all. But I don't take it very personally, because that's partly what goes on in the field of concert music. It's like all other fields — we have people who are tremendously responsible and intent, and others who are just collecting their checks. BD: So it's not a case that they've tried hard but just missed the point? JH: [Emphatically] Oh no, no. I think whenever they try hard, something useful happens. But there are certainly cases where they don't try. BD: There's disinterest in it? JH: Yeah, and there certainly is in performances of Brahms and Mozart, too. We living composers don't take that as a personal affront, because we hear it done to much more established composers. But you always — at least I always — hope that there is interest. With my music, I have to be rather careful, in fact, that it doesn't look easier than it is. I've known some performers to be fooled by that, but I also have a lot of trust, particularly in the kinds of groups that really rehearse — string quartets, brass quintets, units that are small enough to be able to really work. In the orchestral situation, most of what occurs when new orchestral pieces are played is like a rough sort of pencil sketch of an oil painting. That's no one's fault, except that there are so many fewer hours and so many more players. BD: Would spending, say, six more full rehearsals on a piece make it significantly better? JH: In some cases yes, and certainly more performances makes it better. Sometimes just the piece staying around and coming back in five years makes it better. When we go to normal concerts, we don't realize how well Mozart symphonies are played after 150 years. I'm not saying inspired performances, but I'm saying the basic parameters of this music are quite well understood by now. I think Brahms is a wonderful orchestrator, but if you look at his symphonies, some of the balances have to be sorted out. If you just came in for a first performance of one of those symphonies, crucial lines would be covered and many, many things that should come out would not have come out. They do now, 'cause everyone knows those pieces, and they know what you're supposed to hear. BD: Do you anticipate a time when your music will be understood like that? JH: I don't know! We all hope for that if we're composing now. I know that I've got situations in my music which don't solve themselves without the players and the conductor hearing what should happen. It's quite strange, sometimes, to go to hear a work of mine played when I know that we're still at a rather sketchy state; then right after that comes Tchaikovsky's Fifth, where there are problems, but there are no more problems, if you know what I mean. BD: Does the existence of recordings of your pieces help or hinder this whole process? JH: It probably helps because it speeds up that thing we were just talking about, the waiting period that helps performers to absorb. There are problems about the whole issue of composer-supervised recordings, not unrelated to the problems in the accounts of historic performances. BD: Do you get involved and scream to the conductor every other bar, or do you basically let the musicians get on with their work? JH: I try to let them work as much as possible by themselves. Certainly I try never to interrupt a conductor in a rehearsal, because I know when I'm conducting, I hate it when the composer is jumping up all the time. But the idea that the composer has sanctioned or been around for a performance is misleading in terms of what it means about that performance. We have documents of Stravinsky conducting many of his pieces; we have performances of many composers and their own work, and what it means is very complicated. There are many, many factors having to do with the conditions of the performance, the amount of rehearsal, the skill of that particular practitioner. All of these things are very complicated, and their documentation is as dangerous, in a way, as some violinist writing about how people phrased in the time of Bach. It's fraught with all kinds of counter signals. BD: Are you the ideal conductor of your own music? JH: By no means. I've done a good job at certain times, and at some times other conductors have done much better. There are certain things that I like about the way I do it, but there are certain things that are not ideal about being in the midst of it. When I conducted pieces of Stravinsky, and there's a Stravinsky-conducted recording, I think it's irresponsible not to consult that because it does have a weight that a performance of the same piece by von Karajan doesn't. But it's dangerous to get too deeply into it. BD: In the Stravinsky recordings, there are times when what you hear is not what you see on the page. BD: So who do you believe? Do you believe your ear, or do you believe your eye? JH: It's very problematic. There are tempos that don't agree with his tempos, there are balances which seem to be quite at odds with what you perceive. It's a new performance factor and problem which we're going to have to work out for a long time to come. It's wonderful to have these documents, but it's certainly puzzling, sometimes, to ponder them. Some of Michael Tippett's performances of his own music I find somewhat puzzling for the same reasons. BD: So if you listen to one of these recordings blind, you might say, "What a poor recording! ", and then be told later that it was the composer conducting. JH: This can happen. There are, of course, great peaks that are achieved occasionally by a composer with his own piece. I think Stravinsky's Oedipus Rex with the Cologne Radio Orchestra and Chorus recorded in 1951 is one of those great moments where something really happened just in the right way there. BD: It all came together. JH: It's very exciting, and in fact applicable to many works of Stravinsky, what can be learned from a moment like that. BD: Are you basically pleased with the recordings that have been made of your music so far? JH: Yes and no. Acoustically, almost never. I'm only beginning to understand and get more real sense of why that is. I'm becoming more aggressive about the acoustic conditions for recording. BD: Mike placement, room ambiance...? JH: All of that. Yeah. In terms of performance, I have some recordings coming out which I think are going to be at a level which I've always really hoped for. It's partly some degree of not knowing what to expect and not really knowing how involved to get. I think the Lydian Quartet recordings of my quartets will be absolutely superb in every way, partly because they are repertory pieces for this group. They've played them so many times that recording them is really a completely natural process. And they are also doing the editing, which I think is the way it should happen, ideally. But I think that the whole issue of recording is very intricate. I'm more and more beginning to imagine rather specific acoustic settings for specific pieces. If it's going to be a document, like a recording, I begin to feel quite finicky about what sort of space they're in. BD: But of course you have absolutely no control over the reproducing equipment in people's homes, or wherever they will be listening to the finished product. JH: No, absolutely not. But I like to at least be able to be as thorough as possible at the beginning. Particularly since I do a lot of music as a church musician, I'm very sensitive to the way in which certain kinds of music can work much more tellingly in certain environments than others. I want to be more involved in this process. In fact, I've gotten very interested in the whole way that engineers and people who deal with electronics hear. It is somewhat different from how musicians hear, but also very useful and very enlightening. I grew up as a pre-recording composer; my first experience of music was in halls. I know lots of people only somewhat younger, who knew music first from records, and for whom that experience was always the most comfortable. For me, what I want to hear on a record is a performance, in a hall. JH: Well, I don't even mind the mistakes that much. I want the energy of the performance. My favorite recordings are those virtually unspliced ones; some of the Toscanini broadcasts or the Schnabel Beethoven sonatas; those integral Stravinsky performances like the one I mentioned. To me, imperfections in execution don't matter very much if a kind of impetus is present. That's very hard to achieve in the modern recording world. JH: The purpose of music is to provide some kind of an enzyme or vital substance that we can't find anywhere else. That's the purpose, I think, of "concert music" — music that aspires to be entertainment but is much more than entertainment. There has to be a need; where it's not felt as a need, you can't really convince anyone to need it. It seems to me its persistence is based entirely on an innate craving in a certain part of the population for the experience that can only be found in this kind of music. BD: Is it for everyone? JH: Oh, by no means. I've been able to ascertain that in every way as an audience poller and as a teacher. It's absolutely not for everyone, and we really just frustrate ourselves if we try to assume it is. It's measured at a very high level of intensity among those for whom it really matters, and that's what is so interesting about it, and fascinating, actually. BD: Do you have any advice for the audience that will come to hear pieces of your music, or other composers' music? JH: If the experience at some level is not strong, it's not for them. The reason I got interested in it and stayed interested in it, and the thing that I feel like I share with the listeners, is that it's something that they periodically need. Now for me, the periodic table [laughs] is very rapid; that is to say, many times each day. But it's something that doesn't need to be. Once the bug bites, it doesn't need to be encouraged to bite again; it will. We need to present "concert music" to people who haven't heard it in the best and most enthusiastic way we can, but we don't need to make anyone feel guilty or ashamed if it doesn't happen to them. BD: Should we encourage them to try a few more times, rather than give up after the first time? JH: Oh, absolutely. Absolutely. Even if you've never heard any concert music, I believe very much that in a piece which is going to affect you there will be something disturbing or fascinating right at the beginning. It may not be very much. I had a guy come up to me after a performance in Washington, and he said, "Did you intend, with that piece, to write music in which I would hear nothing that I understood for an entire half an hour?" I said, "Well, I certainly didn't; and that would be extremely difficult to achieve in a great majority of listeners, presuming that you're not willfully perverse!" He said, "I got absolutely nothing out of that piece from the first note to the very end." I said, "Are you sure it was absolutely nothing?" and he said, "Yes, nothing." He continued, "What would you advise me to do? Should I get a tape or a record of it and listen to it again?" I replied, "Absolutely not. If there was nothing, you're not a candidate for that piece. There may be other candidates; there certainly were others present, but you're not a candidate if there was nothing." BD: Would he be a candidate for other pieces of yours? JH: He could be! But we know he's not a candidate for that piece because, by his own account he was very distressed at having had this feeling, and I don't blame him. Thirty minutes is a long time to be with something that made absolutely no sense. Another piece, perhaps, but my feeling was that he actually expected me to say, "Oh, please give it another chance." But on his testimony, which I really did take as true, there was no point in him going back to that piece. There was a point in him starting with any number of other pieces and trying the same thing, but if he had been a candidate for that piece, there would've been even three or four seconds where something stirred. BD: Might he be a candidate for that piece a decade later? JH: It's possible. I know in my own case there have been pieces which have become very important to me which I've drawn blanks on at first. I stayed with them because of the reputation of the composer, or that I trusted other music of his. I know of this movement of a Beethoven quartet, the Rasumovsky in E minor [String Quartet no. 8 in E minor, Op. 59, no. 2]. It has a C major slow movement which just seemed bland and blank to me for many years. I would periodically go back to it. I would think, "It's a great composer at the height of his powers; there must be something there." Finally, when I got it, it was not just "getting it," it was like this was one of the greatest pieces of Beethoven working at some level that I hadn't expected from him at all. But there again, to even go through that, you needed a lot of money in the bank to even do it. BD: Would it have been your fault if you never did come to that conclusion? JH: I think we all have certain deaf spots in our ears, and I don't think they're particularly rational. I know there are composers I don't get that are good, because I believe the testimony of other people that they're good. BD: It just doesn't work for you. JH: It doesn't, and it's a very peculiar, interesting chemistry that's working there. 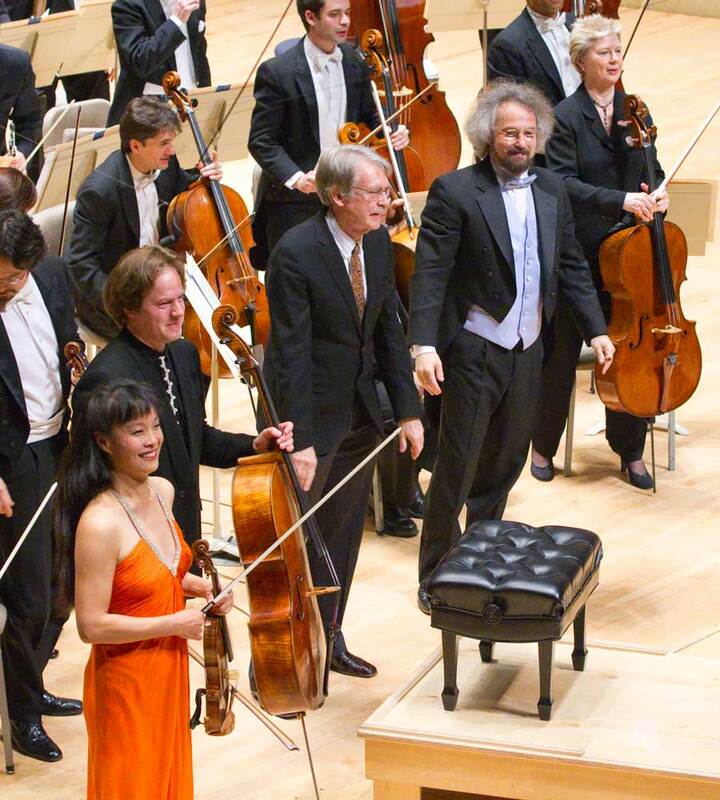 One of the things that attracts me to concert music so much is the tremendous diversity of reaction, in any given concert, in any row of the audience. There is this extraordinary realm of possibilities of reaction. I love that about it. BD: Coming back to this man who said he didn't get anything out of it, would it have been better or worse if he had reacted violently in a negative way to it? JH: I think that would've been a better sign. I would've suspected something was there for him. No, it was because his testimony was of complete puzzled neutrality that I felt that this was not his terrain. A kind of annoyance in not getting something is not always a bad sign. BD: You're just missing what it is? JH: Yeah. There are so many things in the whole world of music which can be absolutely on the mark for someone with a certain genetic makeup that will fly right past another. That's really why it's so fascinating to exchange ideas about it all. Music's interesting; everybody in a concert, at least in my experience, feels comfortable with having an opinion. That's part of the musical experience. It's not part of painting, I don't think. There may be something closer in literature, but I don't think that you go into a gallery, and everybody feels that they can say exactly what they think of every painting. It doesn't seem to be part of the deal. BD: But they do with music. JH: With music I think that's true, and I've often puzzled about why this is. I think it's really because it's working at some level of the subconscious which seems to release all kinds of interesting levels of contact that are not precisely verbal, and they're not even exactly aesthetic. They're more at the level of excitation of nervous reaction. JH: I'm sure you're right. That must be part of it. [Both laugh] I've often thought that the composer is in this remarkable relationship. Some people experience being in the hold of the composer as more arduous than being stuck in jail overnight. It's amazing how long that twenty minutes of control can seem. We living composers all have these experiences. I was on tour with an orchestra, taking my Second Symphony around, and it was as the hors d'oeuvre for Midori playing the Tchaikovsky Concerto. I was often unlucky enough to be sitting in a gaggle of Midori fans, who had come to the concert with really only one purpose, which was to hear Midori play the Tchaikovsky Concerto. My piece must've seemed to them twelve hours long. [Both laugh] By the whispered comments that I heard, it was purgatory! I was sitting there thinking, "Oh, God, it's twenty-two minutes, but why did I do this to these poor unsuspecting people?" It is true that you are controlling their temporal life. BD: I hope you do have the experience of sitting with people who came to hear your piece. JH: Oh, yeah, occasionally. You can't exactly legislate that, but it's true, and these people did not stick around to see what Stravinsky's Petrushka sounded like, either. So I wasn't being singled out for harsh treatment. JH: Yes and no, and in very unexpected ways. There are times when I get such a free ride through a piece that I feel absolutely guilty. There seem to be no impediments, and I don't really experience any particular difficulties. The piece just unfolds, and at times like that my Calvinist background gangs up on me; I think, "I'll pay for this in Hell." But there are other times, equally unexpected, when I have every reason to think a piece is going to go well, but for whatever reason — I've never really been able to isolate what — I can be in quite a difficult relationship to a piece, and it's anything but enjoyable. The result of those two experiences is not that palpable. The piece that goes well may not necessarily be a better piece than the one that doesn't. I remember a very interesting experience reading Tchaikovsky's letters. Years ago I always thought of Tchaikovsky — and he certainly thought of himself — as a very fluent composer, yet he complains whenever he has a difficult piece. It was not that often, but the Fifth Symphony was a terrible ordeal for him; he hated every minute of it. Nothing came naturally. It was just a real pain in the neck from the start to the finish, and his feeling, of course, was that it was inevitably not going to be a first class piece. Well, it's a first class piece! It has all of the virtues of his best music, but the process was just not pleasant to him. BD: Is this in any way comparable to the birth process — some children are delivered easily, and others the woman is in labor for two days? JH: Yes, and it's mysterious as to what's going on. I often wish I could learn something from this and be able to anticipate, particularly because I'm always trying to plan how long it's going to take to write a piece. For just the general labor involved, it would be nice to predict, and I can't. I get into trouble sometimes where I don't really expect to. Sometimes I think I've got a great notion about a piece, which in practice turns out not to be. Then you have to be able to retool. BD: Are you then surprised with where you end up? JH: I sometimes enjoy that experience of the piece going off in a direction, and then sometimes I seem to have a great will to control what's going on. That, too, is a bit hard to predict, though it's a bit cyclical. I sometimes go through a phase where I want to write pieces where a very, very small amount of material generates everything, and then there are other times when I wait around and seem to want to be very generous and not just dwell on certain very few ideas. The feeling I'm always most suspicious about is that I've been there before. BD: And you don't want to be there again? JH: I don't really want that impression, no. That's the most difficult to live with; have I skirted through this too closely? I'm a huge Charles Dickens freak, and I remembered an account of Dickens, in a letter to Forster, saying that in preparation for — I think it was Copperfield — he reread some vast number of his works, perhaps seven or eight of them, to be sure he wasn't going to repeat himself anywhere. BD: So if anything he wrote then was familiar, it would be tossed out? JH: That's right. Now that's an amazing thing coming from Dickens because of his most abundant, seemingly endless flow of invention. I mean, it makes even Mozart seem a little bit conventional; but that he was worried that he might be somehow running down the same path seems amazing. Obviously he must've achieved some of that sense of freshness just by not wanting to do what do what he'd done. JH: [Smiling] His formal strategy doesn't fill me with great admiration... [both laugh] ...though locally I have a lot of admiration for what he does. There's something very pure and unusual about his idea of counterpoint, particularly at that moment in music history. I like that. BD: What advice do you have for the next generation of composers? JH: [Thinks for a moment] This generation starts in some way from a more favorable stance than mine did, because there's much less consensus about where to start. BD: You were more straitjacketed? JH: Yeah. There was a sense of what the international style was all about. There's always, however an "on the other hand," and in this case the other hand is that without going through a central discipline, it's possible to have a certain muscular weakness creep into the technique at a certain point. I was just discussing that question with Peter Maxwell Davies at the Ojai Festival. [See my Interview with Sir Peter Maxwell Davies.] He and I were both doing our own music, and we were doing Mozart of 1791 since this is now 1991. We've been old friends for 30 years, and I asked him that question about where he thought the youngest generation of composers was starting. He said that the sense of all possibilities being possible is wonderful and exhilarating, but in order to compose for 40 years, there needs to be certainly generated a core discipline based on what you yourself, the composer, thinks the essential issues of music are. Davies remembered even as a young teenager thinking, "If I'm gonna do this for 40 years, my technique better be based on something that will work for more than one or two pieces," which is a kind of foresight that I think is very worth having. BD: Have you had the same kind of foresight? JH: I've certainly had those thoughts. If you go on writing over a long period, you need to be very restless with the idea of something that succeeds more than once. You would have to be somewhat insane to be Bruckner. I think it was religious fanaticism and insanity of a kind that makes his music, by sheer will, succeed. But that's not a solution to be recommended. BD: Do you have to be insane to be Harbison? JH: I think we're all a little crazy to do this kind of thing, but a kind of maniacal, compulsive formal recycling is a dangerous solution. Only a few great masters have pulled it off. BD: I hope you continue to "pull off" your own style of wonderful composition. JH: Thank you very much. I hope so, too! 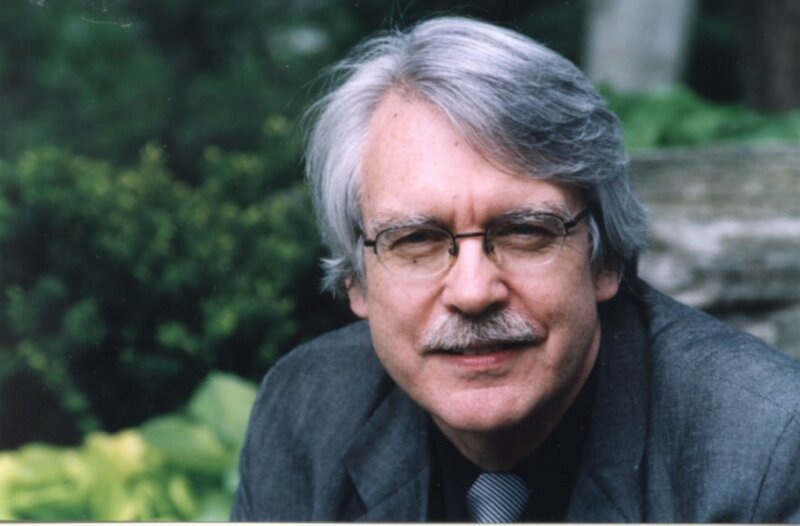 Composer John Harbison is among America's most prominent artistic figures. He has received numerous awards and distinctions, including three of the most prestigious: the MacArthur Foundation's "genius" award, the Pulitzer Prize, and the Heinz Award in the Arts and Humanities. Harbison has composed music for most of this country’s premiere musical institutions, including the Metropolitan Opera (for whom he wrote The Great Gatsby), the Chicago Lyric Opera, the New York Philharmonic, the Chicago Symphony, the Boston Symphony, the Los Angeles Philharmonic, the Chamber Music Society of Lincoln Center, and the Santa Fe and Aspen festivals. His works include four string quartets, five symphonies, a ballet, three operas, and numerous chamber and choral works. Harbison's music is distinguished by its exceptional resourcefulness and expressive range. He is considered to be "original, varied, and absorbing — relatively easy for audiences to grasp and yet formal and complex enough to hold our interest through repeated hearings — his style boasts both lucidity and logic" (Fanfare). Harbison is also a gifted commentator on the art and craft of composition and was recognized in his student years as an outstanding poet (he wrote his own libretto for Gatsby). 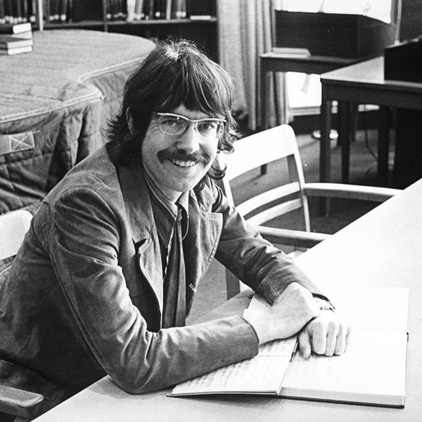 Harbison's present composition projects include a setting of texts by Alice Munro for voice and orchestra (for the Metropolitan Opera Orchestra), his Sixth Symphony for the Boston Symphony Orchestra (who are also honoring Harbison by presenting his full symphonic cycle between 2010-2012), his fifth string quartet (for the Pro Arte Quartet), and a work for violin and piano (Music Accord). Harbison’s opera Full Moon in March (BMOP Sound) was released on CD in April 2009 and The First Four String Quartets (Centaur) was released in September, joining several new recordings issued last season: Christmas Vespers (Brassjar Music), Montale Occasions (Albany), and the ballet UlyssesThe Rewaking (String Quartet with Soprano, Bridge); Partita (American Orchestral Works, Cedille), nominated for a Grammy Award; John Harbison: Chamber Music (Naxos); Music of John Harbison, Volume 1 (Bridge); The Amelia Trio: Music of John HarbisonMotetti di Montale (Koch), also a Grammy nominee; Symphony No. 3 (Oehms Classics: Levine/Munich); String Quartet No. 4 (Koch); the Viola Concerto (Albany); the Cello Concerto (Albany); Four Psalms and Emerson (New World); and Variations, Four Songs of Solitude, and Twilight MusicThe New York Times. Harbison was born in Orange, New Jersey on December 20, 1938 into a musical family. He was improvising on the piano by five years of age and started a jazz band at age 12. He did his undergraduate work at Harvard University and earned an MFA from Princeton University. 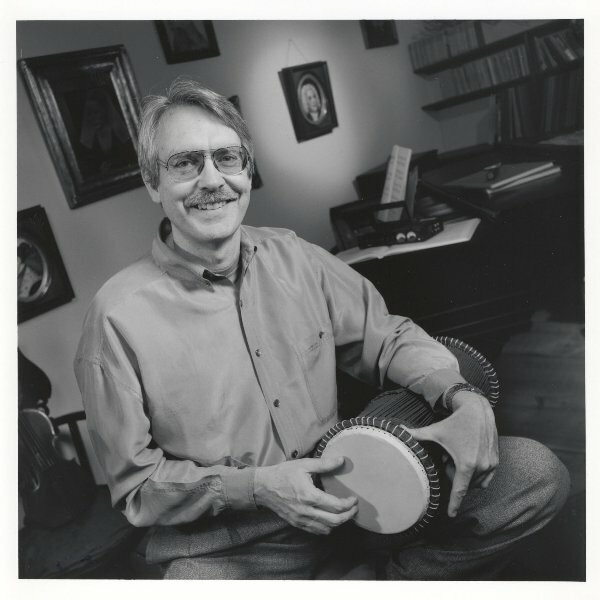 Following completion of a junior fellowship at Harvard, Harbison joined the faculty at the Massachusetts Institute of Technology where, in 1984, he was named Class of 1949 Professor of Music; in 1994, Killian Award Lecturer in recognition of "extraordinary professional accomplishments;"and in 1995 he was named Institute Professor, the highest academic distinction MIT offers to resident faculty. He has also taught at CalArts and Boston University, and in 1991 he was the Mary Biddle Duke Lecturer in Music at Duke University. 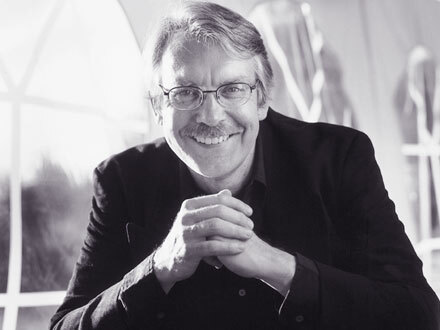 Furthering the work of younger composers is one of Harbison's prime interests, and he serves as president of the Aaron Copland Fund for Music. In 1998, Harbison was named winner of the Heinz Award for the Arts and Humanities, a prize established in honor of the late Senator John Heinz by his wife Teresa to recognize five leaders annually for significant and sustained contributions in the Arts and Humanities, the Environment, the Human Condition, Public Policy and Technology, and the Economy and Employment. He is the recipient of numerous other awards, among them the Distinguished Composer award from the American Composer's Orchestra (2002), the Harvard Arts Medal (2000), the American Music Center's Letter of Distinction (2000), the Kennedy Center Friedheim First Prize (for his Piano Concerto), a MacArthur Fellowship (1989), and the Pulitzer Prize (1987). He also holds four honorary doctorates. In recent years, Harbison has revived his career as a jazz pianist, composer, and arranger. Early on, as the founder-leader of the Harbison Heptet and as sideman in many other groups — playing with Tom Artin, Buck Clayton, Vic Dickenson, Jo Jones, and Edmund Hall (1952-1963) — he took a jazz sabbatical for four decades, returning in 2003 to found the Token Creek Jazz Ensemble. The quartet and guests perform exclusively for the annual Token Creek Festival in Wisconsin. As a keyboard player he explores affinities between jazz change playing and figured bass realization. This interview was recorded in Chicago on June 13, 1991. Portions (along with recordings) were used on WNIB in 1993 and 1998, on WNUR in 2006, and on Contemporary Classical Internet Radio in 2007 and 2009. This transcription was made and posted on this website in 2011.